It was 1998 if I remember correctly when I saw in the TV Guide a to me unknown comedy called Mallrats being shown around midnight. The TV guide listed it as a four out of four star movie. So kind of intrigued I set the video-recorder’s timer and taped the movie. 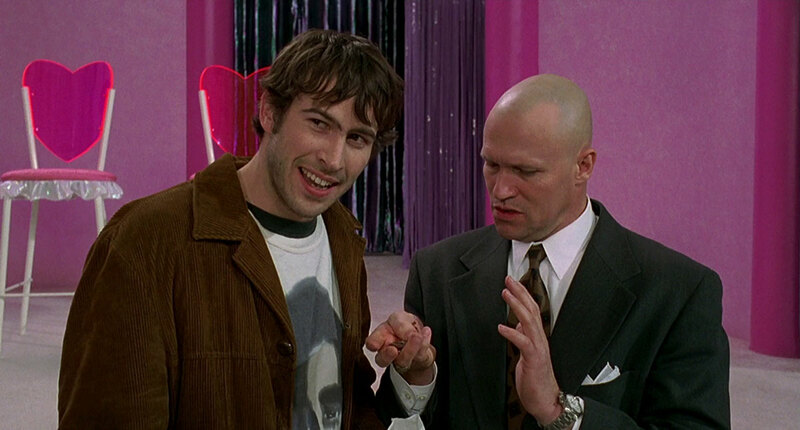 Mallrats even received an extra introduction by Dutch critic Jac. Goderie who gave the movie a rave review. Naturally this set my hopes up high for this movie. Guess what? It turns out I loved the movie. It had me bursting out in laughter a lot of times and gave me 90 minutes of good clean fun. This movie introduced me to writer/director Kevin Smith and the characters of Jay & Silent Bob. I was not aware of his work, but that changed when a year later Jay & Silent Bob where on bill boards due to the release of Dogma. It was then I realized there was a whole string of related movies. When three years later Jay & Silent Bob Strike Back was released, I bought my first DVD which was Clerks. I did not even have a stand-alone DVD Player at the time, just the one in my iMac. I also bought a VHS tape of Chasing Amy. I just didn’t want to miss one in-joke between all the movies. But it all started with this film about a couple of teens hanging out in a mall. Big was my surprise when I read back interviews from other critics from the time of its release. They were devastating. It seemed that at the time the movie was universally panned. This baffled me as this movie gave me such a good time and the praise from my TV Guide. Maybe it’s the humor that just doesn’t connect to the usually older critics. Catch phrases like “snootchie bootchies” will probably never catch on with anyone over 40, but if you’re 20 they sure do. Maybe it’s just a generation gap. Like when a 4 hour long costume drama receives unanimous critical praise while young people fall asleep after 10 minutes of watching due to complete boredom. Clerks, which was well received by critics, did tackle some more adult themes but in the end was a low-budget, black-and-white movie about two people running a store who just talk all the time. Clerks was a very funny movie but I can see why critics love that movie more than Mallrats. It has a more serious art-house or Sundance Festival feel to it. The critics had their way and Mallrats simply tanked at the box-office. But it turned out the movie had a second life on VHS and DVD. I have bought 3 different copies of it over the last few years. First a bare bones edition then later a Special Edition. Finally in 2005 I bought the Ten Year Anniversary edition which contains a ton of extras, including a version with the original Governors Ball scene at the beginning. That versions runs up to two hours, but it’s none of the stuff they put back in is really funny. Sometimes less is more. Upon viewing the movie the tape went around among my circle of friends and they all loved it too. 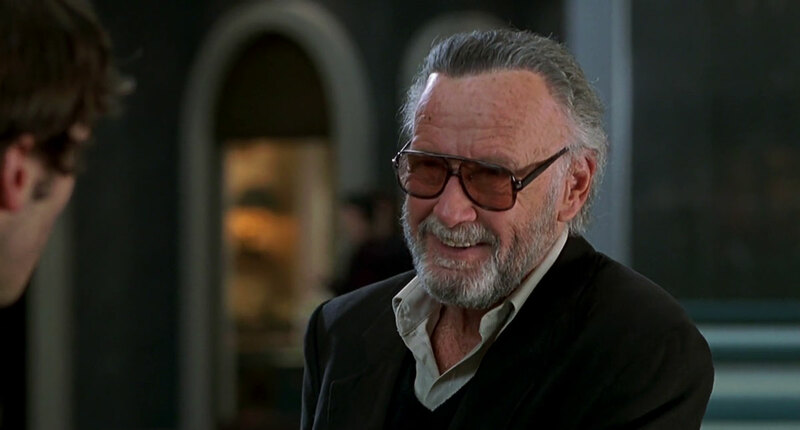 It’s just an example of how an obscure box-office dud can find an audience and become something of a legend. Now you might be wondering when I’m going to talk about the movie itself so here is a little piece of opinion: I loved the film. Last night I watched Mallrats with a friend and it had him in stitches. I was too, even if the jokes are familiar to me. It still had me laughing from time to time but of course not as hard as the first time I watched it. That’s the only down point to it, but that isn’t the fault of the movie: somehow you always want to feel like you did that first time, but you never will. Especially comedies are effected by this as jokes depend on the unexpected. Luckily every now and then there’s a movie like Mallrats released. The movie isn’t perfect. The plot is thin and only there to serve for the jokes and I’m sure all the comic book jokes will not reach everybody. Also at some points the movie could be better edited but those are just minor remarks about a movie that had me in stitches the first time I saw it and many times more after that. Now it might not be everbody’s cup of tea, but then again: which movie is?